UPDATE: This research is now completed. Thanks to all for sharing your stories! My book, Snacks: A Canadian Food History, will be available from University of Manitoba Press in August-September 2017. I’m searching for past contestants of the “Kids’ Bids” TV shows that were sponsored by Old Dutch Foods, to interview for my snack foods history research project. 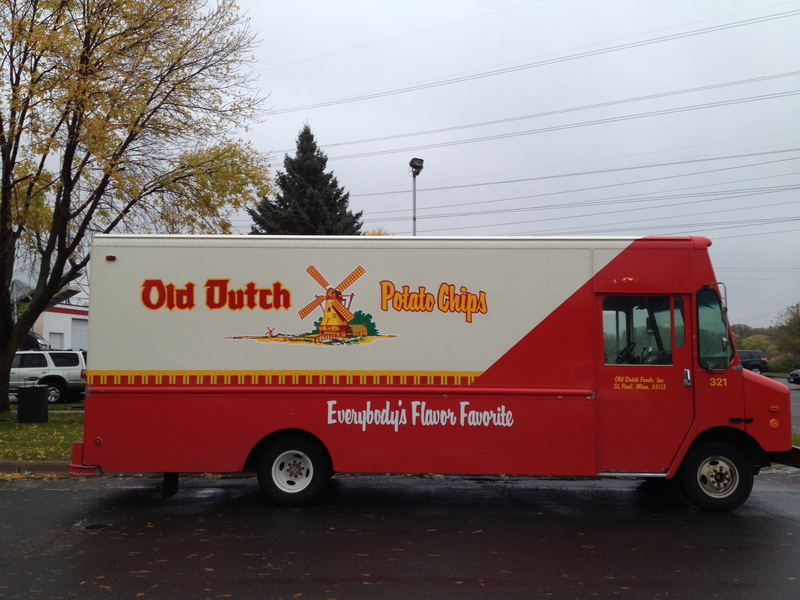 Old Dutch delivery truck in Minneapolis. © Janis Thiessen, University of Winnipeg, ja.thiessen@uwinnipeg.ca. The show was developed by Robert Watson of Watson Advertising in the 1960s. Nancy-Ellen McLennan, Linda Koesveld, Susanne, and Danny Hooper were participants. In blogs, facebook posts, and a newspaper article, they describe the show as an auction for prizes, where bids were made by children using empty Old Dutch packaging as “Old Dutch points” instead of money. While a photo collection has been archived, there are no archived interviews of these children’s experiences.